Resourceful ... patient ... engaging ... fun ... serving... curious; these are but a handful of attributes that describe the best motorcycle travel experts in the business. 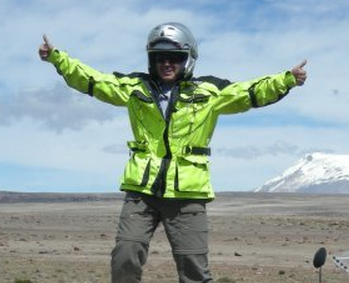 MotoDiscovery doesn’t "lead" tours, we facilitate your adventure. There is a difference and we’ve been doing it for a long time. These are the people that make it happen. She is that friendly voice that often answers the phones at MotoDiscovery. Her organizational skills, dedication, and attention to detail are the valuable contributions that have gained her praise from so many throughout the decades. Above all she has supported the dreams that have resulted in sharing so many great experiences traveling around the globe. It gets better..she rides too! 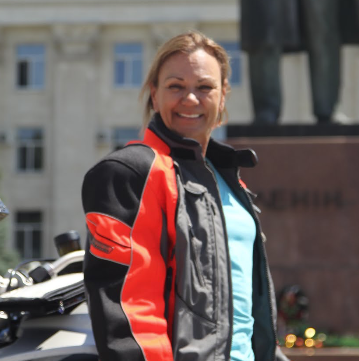 And if you haven’t figured it out, she is married to MotoDiscovery founder, Skip Mascorro. Alberto is a senior member of the team first joining us in 1991 riding with Pancho Villa Moto-Tours from the USA to Panama and back. That was many years and miles ago. 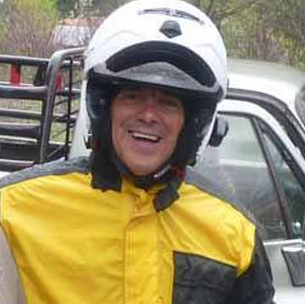 Today he is a specialist in riding Mexico, Central and South America. His knowledge is only exceeded by his uncompromising willingness to serve. And when required he is a crafty problem solver when it comes to facing the challenges that are often along the road of adventure. This uncommon devotion to others is a rare and honorable attribute, one that we consider core to our values and that translates into a very special experience for those who travel with MotoDiscovery. His name gives a hint of his heritage. 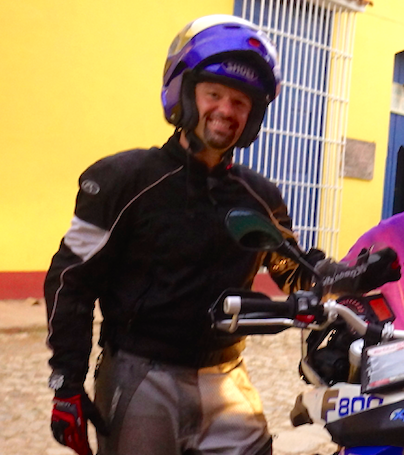 Juan is multilingual, and has since 2002 served MotoDiscovery throughout the Americas including Cuba. He is equally at home in Central and Eastern Europe. Those who know him find his passion contagious, throwing a tireless energy and creativity into every MotoDiscovery event, seeking out the little things that make for big rewards. Juan is also engaged in tour research and development for MotoDiscovery and when not on two wheels, he races rally cars and fields teams of classic and vintage race cars in events such as the legendary La Carrera PanAmericana. 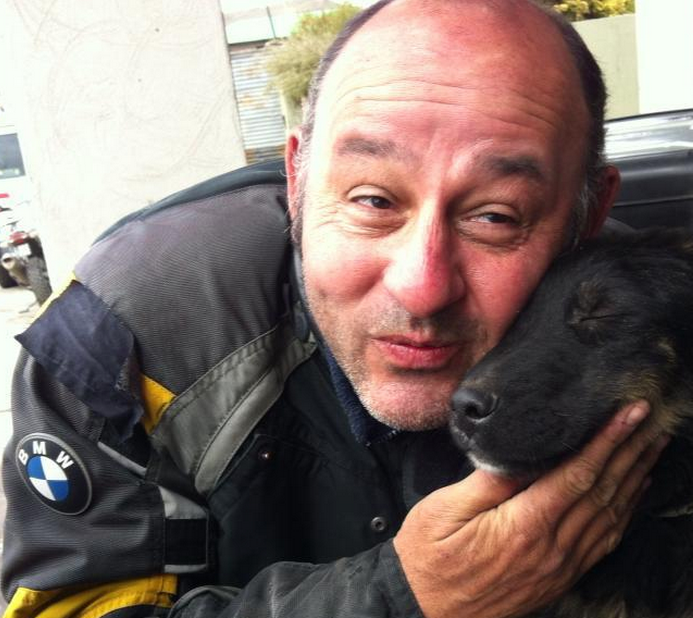 Born in the USA of Argentinean parents, he is a “citizen of the world”, serving our riding guests since 2005 and collecting passport stamps riding in countries we only dream of. This experience is priceless when taking on the Patagonia, exploring the Andes or making new discoveries in the Copper Canyon of Mexico; experience that he passionately shares with those who ride with MotoDiscovery. 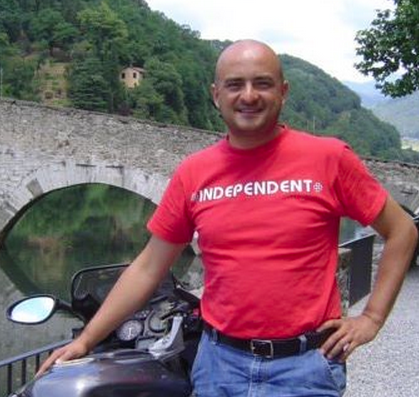 And if you happen to enjoy classic and antique motorcycles, add that to the long list of things you will find so enjoyable about traveling with Roberto. A magic occurs when together with MotoDiscovery founder, Skip Mascorro they begin to dream of riding the overlooked destinations, the forbidden and the intriguing. It all started in 2004 with our first 32 day journey throughout Kazim's native Turkey. From there the collaborations continued with a controversial but thrilling ride into Iran. Then it was a seven country ride Around the Black Sea and more tours through the Adriatic. You should see what is on the drawing board! It all centers around Turkey and it is Kaz that delivers the emotion, the exotica and romance of that part of the world like no other. Alex, the youngest member of our group of experts, brings a special inspiration and energy to our team. Alex so impressed us with his language skills and leadership on our Cuba tours we had to bring him in to help out in other parts of the world. Since then he has also been representing us in Patagonia and the Copper Canyon of Mexico where adventure and challenge require steady judgment. A 'systems' guy at heart he is also updating our business tools and technologies while working on new tour development. At home, Alex founded the Language Lounge, a unique language training school, where he teaches and learns new language everyday to support his work and travel with MotoDiscovery. We at MotoDiscovery pride in keeping it authentic. When it comes to South America, it is Marcelo who pushes the envelope. He has an insatiable appetite for exploration and sharing new discoveries with others. This Argentino has traveled the four corners of the globe and loves to find ways to enhance the adventure experience, sharing with others his passion. In a word, the guy is just plain fun! He specializes in South America but we’d send him anywhere knowing that a good time will follow. 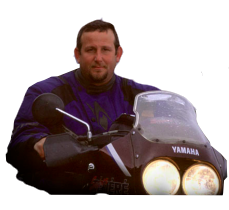 Barak, a professional photographer and videographer with High Desert Media, has been with us now for over eight years and will be out front riding his KTM 990. 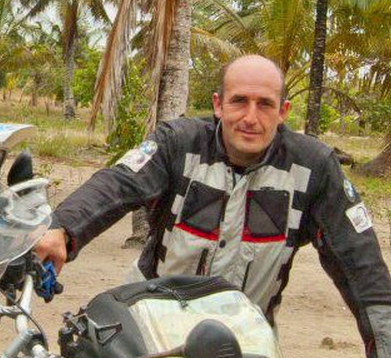 In addition to his travels with us in the Copper Canyon region of Mexico he will also be helping in Cuba as well as to pilot our future ride through his native Israel that will include Jordan and the Sahara of Egypt. His description of nights in the Sahara is all I need to get ready for this one! Visit our Sahara Expedition Page for details! We started in Old Mexico under the name of Pancho Villa Moto-Tours in 1981 pioneering a region now recognized as an iconic adventure touring destination, the Copper Canyon. That rugged complex of canyons, high mesas and remote valleys has always required special expertise and knowledge and for this we call on “Chicon”. To function here it takes connections, instincts and special sensitivities, qualities that Muñoz has contributed to on so many tours & expeditions in northern Mexico. India. Is there a more exotic place on the planet than the subcontinent? We thank the late Patrick Moffat for urging us to look to the East, to India, Bhutan, Mongolia and Nepal. 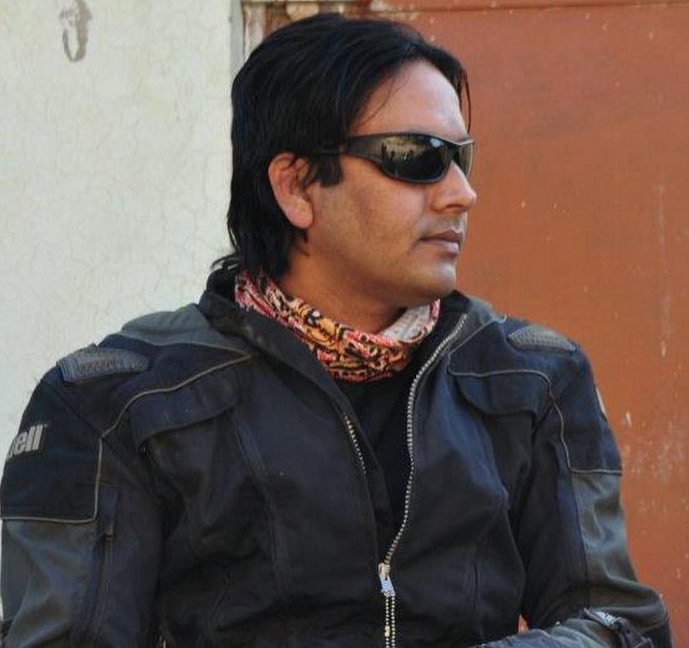 And while Patrick is no longer with us, his protégé then a teenager who once humped the luggage and worked to keep the Royal Enfield Bullets running, has taken the reigns and now so admirably represents MotoDiscovery in India and the region. Alam is special. He cares. His crew is extremely devoted and they share his passion. The challenges are great, the rewards are tremendous and along with Patrick’s son, Eric, have provided the kind of service and quality of care that is so consistent with the MotoDiscovery values. When it comes to India and the region, we simply say he is the best. His love of Mexico is not accidental. He spent much of his early life raised there and generations before him, his family gained prominence in building an empire in sugar growing and production. 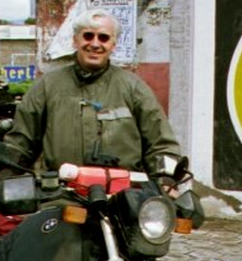 Like all of the MotoDiscovery team, he loves travel and has a passport thick with pages that testify to his experiences in Asia, India, South America, Africa and Europe.